Developing Clarity Through Mindfulness Training to deepen self-awareness, focus, manage stress, information overwhelm, and distraction, boost mental capacity to be more creative, effective, and productive so you can work smarter not harder to achieve stellar business results. develop a personal mindfulness practice to deepen self-awareness, poise and presence. We help management teams evolve and leaders optimize their impact and influence. We help business leaders who seek to be in conscious relationship with their teams while getting things done efficiently and effectively. Anyone seeking to better manage their workload and personal life. If you are interested in establishing a personal mindfulness practice, this is the place to start. Both beginners and those with significant experience find this course extremely worthwhile. 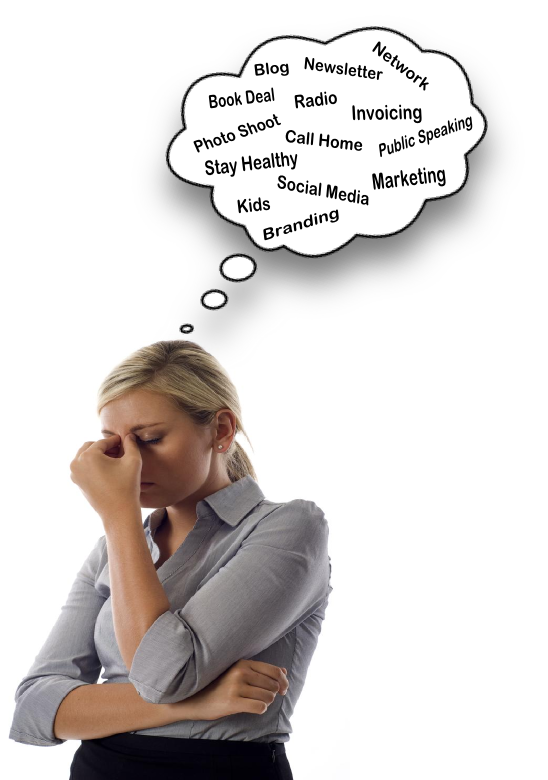 Emails, texts, tweets, voice mails, sales pitches, videos and podcasts all vying for your precious time and attention. And it’s getting louder and coming at you faster everyday. Our attention is valuable. So why do we give it away so carelessly? Like a slowly boiling frog, we fail to notice that distractions pile up and prevent us from doing the important work in our business. To grow your business you decide to go to a conference or a live event to learn, network and get away. Meanwhile, digital distractions like emails and texts from your clients, team and family just keep piling up. And your attention span is getting shorter by the second. Wait… let me go check my inbox. The increased speed of life and ever changing landscape of business can quickly lead to burnout and stress. And it’s getting harder and harder to find the silence and solitude you desperately need in order to self-reflect, think clearly, make decisions and do the important creative work that drives your business. Good decision-making requires focus, right? How many times a day do you check social media and your email? How do you find focus when your mind is addicted to the habit of distraction? If there’s a problem, you react. You get an email, you react. You get a call from a family member, you react. In reaction mode you are not thinking clearly and you most certainly are not in the flow state. At the end of your day you realize that you did many little things that really didn’t add up to the important work you need to do for your business. At cutting-edge businesses like Google, Facebook and Twitter, meditation is the new caffeine. 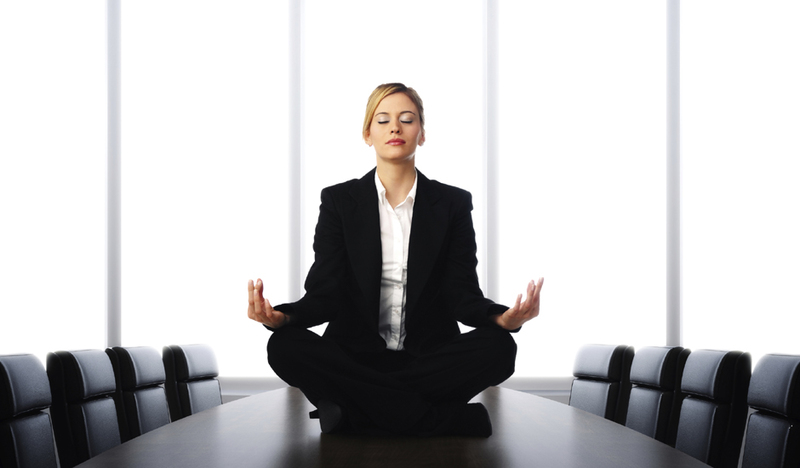 Meditation and mindfulness are thriving in company culture. At a time when more than eight in 10 U.S. employees report experiencing stress at work, and stress costs American companies an estimated $300 billion each year, mindfulness meditation is needed more than ever. The Drucker School of Management at Claremont Graduate University offers a class entitled “Executive Mind” because “all manner of research supports the idea that mindfulness — paying attention to what’s happening in the present moment — is essential to becoming an effective leader. Several leaders in the entertainment industry use meditation to connect with and channel their creative genius. This impressive list includes, but is not limited to, Tina Turner, Sting, Madonna, Gwenyth Paltrow, Oliver Stone, Harrison Ford, George Lucas & the comedian Jerry Seinfeld. Elite athletes such as Tiger Woods, Bruce Lee, and Magic Johnson use meditation to sharpen their skills and focus their mind. 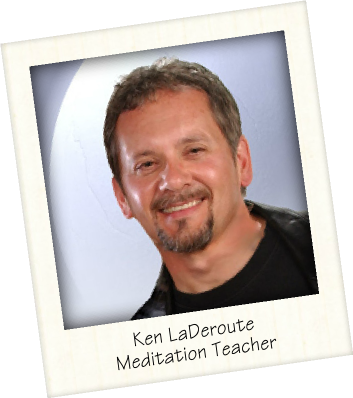 Ken has been an ardent meditator and teacher for over 30 years. In 1989, he was initiated by a direct disciple of Paramahansa Yogananda, into the Kriya Yoga tradition. He is a self-made, successful entrepreneur, running profitable franchise businesses and commercial real estate for over 20 years, and teaching at the university level to inspire young minds to fulfill their highest potential. Ken is a conscious business and marketing coach and helps you as a conscious entrepreneur get your message out, attract clients, build followers, make a difference and profit from what you love. He makes his home in Asheville, North Carolina where he teaches meditation and runs a coaching association he founded called, Asheville Coaching Network. He is available for keynote speaking and travel. “I own a technology company with 14 employees that has constant deadlines and stress that just comes along with the job. I knew Ken could help!Over a couple month period Ken led us though mindfulness meditation. Even from the first session, I was so impressed at the calm and quiet I experienced. What a great way to start the day, as well as learning some valuable mindfulness techniques that could be practiced at our desks during the day. “It is rare that I give myself the gift of being in the present moment. But when I attend one of Ken’s meditation classes he brings me to the present moment quickly and effortlessly. With a warm, friendly manner he gently guides me into deep relaxation and mindfulness. I always walk away feeling calm, centered and recharged. The effects of meditation are cumulative and seem to spill over into my week. I notice a difference in my state of mind. I’m less attached to things that used to cause me tension and I find my hectic life to be more manageable and less overwhelming. “Ken’s meditation classes are so valuable in my life. As he guides us into mindful meditation I find his voice so soothing and reassuring. It’s almost as if you can hear his 30 years of meditation practice coming through in his voice. He has a great way of telling stories and applying the lessons in his teachings. He shares practical insights and wisdom I can take with me throughout my work day. He helps me remember to be mindful and stay in the present moment.